Champagne has long been synonymous with quality and elegance of luxury, and this is something G.H. Mumm cellar master, Didier Mariotti, knows all too well. 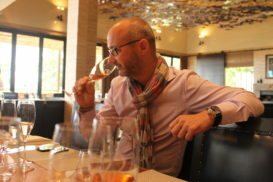 As head cellar master for the number one Champagne house in France, Didier is considered an ‘artist of elegance’. 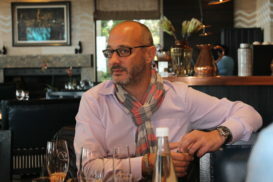 Anton Pretorius caught up with him during a recent visit to the exquisite Delaire Graff Estate in Stellenbosch. Q: Can you describe G.H. Mumm’s style of champagne? DM: Through our champagnes, we express the different intensities of Pinot Noir, which is the signature grape of our house. You’ll find an expression of intensity, different according to the cuvées, with a certain elegance given by the freshness. 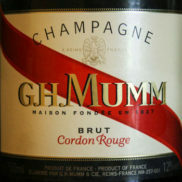 In Mumm’s Cordon Rouge (non-vintage champagne), there’s a richness of ripe fruits combined with a subtle acidity. It’s a fairly specific style in a dimension of fresh fruits. Q: How does grape variety and terroir contribute to G.H. Mumm’s style of champagne? DM: Mumm is largely based on Pinot Noir, but you’ll also find Chardonnay and Meunier in Mumm’s Cordon Rouge range. However, each year the proportion varies depending on the harvest. A hundred or more historic villages define the style of our house, but many more villages are included in our blends, from terroirs that are impacted by the weather and the quality of the harvest. The most important thing for me is producing a champagne that’s consistent over time, so that the consumer finds the style of our house when enjoying a bottle of Mumm. Q: How do you maintain that level of consistency? DM: Each year I ask myself how can I recreate the same Cordon Rouge with what nature gives us in each harvest, and with the reserve wines from previous harvests. There are no recipes for that, it’s purely a matter of feelings and making the right choices. I always say, there are no rules, the only rule is taste. Q: With two centuries of winemakers before you, how do you live up to consumer expectations, yet remain faithful to your house’s tradition? DM: I try not to think about it too much. Taste change, habits change and champagne is not consumed in the same way it is today as it was 50 years ago. It’s impossible to predict exactly what the champagne markets want, but I try to anticipate what the future expectations of the consumers are. The idea is to evolve, but at the same speed at which the world evolves. We use the house’s past to create its future because what we create today will be enjoyed in 10 or 20 years’ time. We try to adapt the style of Cordon Rouge to remain contemporary. 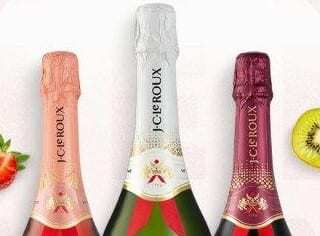 We also create brand new champagnes that are pure innovation. 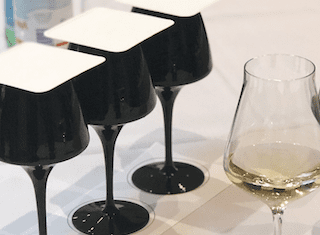 Q: Is there enough growth in the champagne and sparkling wine segments? DM: Indeed. The sparkling wine segment continues to grow globally with the increasing reach of other regions and producers around the world. However, champagne remains a luxury product at the very top. 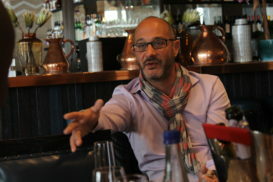 I think everyone has found its place and we all work together for the growing success of quality sparkling wines. Q: What role does your reserve wines play in the making of Mumm champagne? DM: Our reserve wines bring complexity and consistency to the blend. We’re including more reserve wines in Mumm’s Cordon Rouge than in the past, making it easier to find continuity in our style, especially with the often unpredictable weather and climates. Beyond the quantity used, the impact of reserve wines in champagnes depends largely on the age of these wines and how they are ages. We make Cordon Rouge using reserve wines ranging from two to six years of age with percentages in the blends that differ from one year to another (30 – 35%). H. Mumm was founded by three German brothers (Gottlieb, Jacobus and Philipp Mumm) in 1840 after acquiring their first plot in Verzenay (famous for its windmill that was used as a lookout during World War I & II). More than half of G.H. Mumm’s vineyards are classified as Grands Crus, which indicates a higher level of production capability. In 1904, French explorer Jean-Baptiste Charcot popped a bottle of the brand’s Cordon Rouge atop a glacier to toast the success of France’s first Antarctic expedition. G.H. Mumm was Formula One racing’s official podium champagne partner, but the 15-year partnership ended in 2015 after a five million euro offer was rejected by the sport’s management. To this day, G.H. Mumm remains an official supplier of champagne to Her Majesty the Queen Elizabeth II (as evidence by the Royal Warrant given in 1904). G.H. Mumm sells more than 8 million bottles per year and is the leading international champagne brand in France and third worldwide. G.H. Mumm wines are sold in 150 countries around the world. Since 2005, G.H. 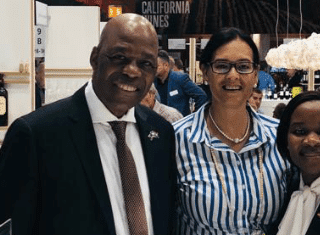 Mumm has been part of the French group Pernod Ricard, the world’s co-leader in wines and spirits.